• Certain iconic scenes haven’t been photographed to death in certain seasons. A little bit of seasonal touch can go along way. The scene here was made famous by Ansel Adams black and white photography. 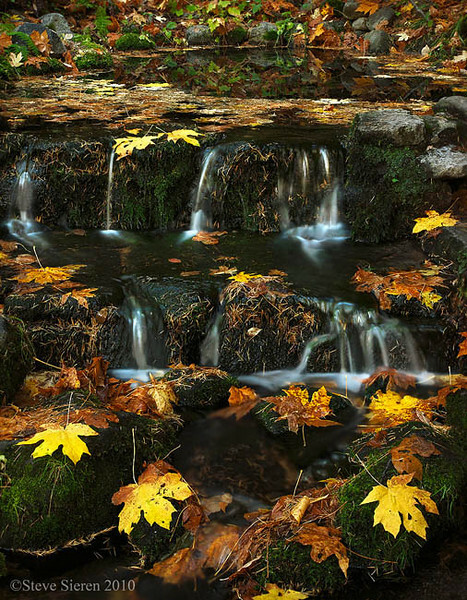 • Everyone will tell you use a polarizer, but why use a polarizer? Without a polarizer these 3 images would be exactly the same. The first image is at full strength of polarization, the last is without any polaration and the middle image could of been created in two different ways. Gets you thinking doesn’t it? 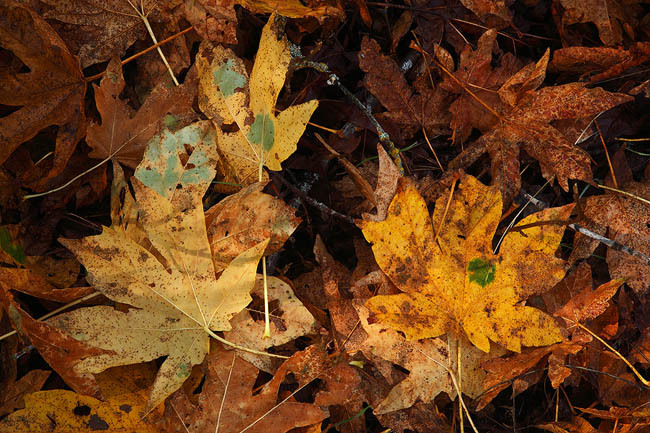 • If you miss the fall color in the mountains don’t forget about other types of foliage that may change weeks and months later in different locations. You’ll be surprised at what you were missing and overlooked. Fall color is so much more then just aspen and maple trees or whatever first comes to mind. • Somethings are easily forgotten so don’t forget to check below your feet. Try to vary your scenes by taking the large expansive landscape vistas, detailed close ups and much more in between these two vastly different views. This entry was posted on November 19, 2010 at 9:36 am and is filed under Uncategorized. You can follow any responses to this entry through the RSS 2.0 feed. You can leave a response, or trackback from your own site. Your sensitive, yet colorful Fall rendition of that top one is quite appealing. Enjoyed the whole series here as well. 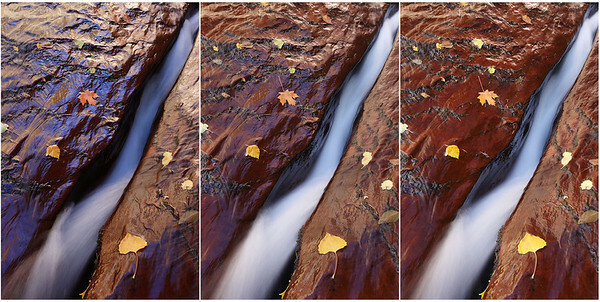 Interesting how the polarizer improves the left image the most of the three rivulets. Love it Steve, would have loved to be there with you on your workshop. Southwest is just great specially in the fall and you have captured it perfectly. Keep up the great work, very inspiring. David, It’s pretty interesting because I think most people remove the glare on this often shot scene. Hard to say which is most appealing to the general audience. Patrick, thank you for stopping by, I appreciate your kind words. One participant had a bum knee so I had move along the Subway Trail at a very slow pace but I got to see things a little slower along the way. Great advice, I really appreciate it!